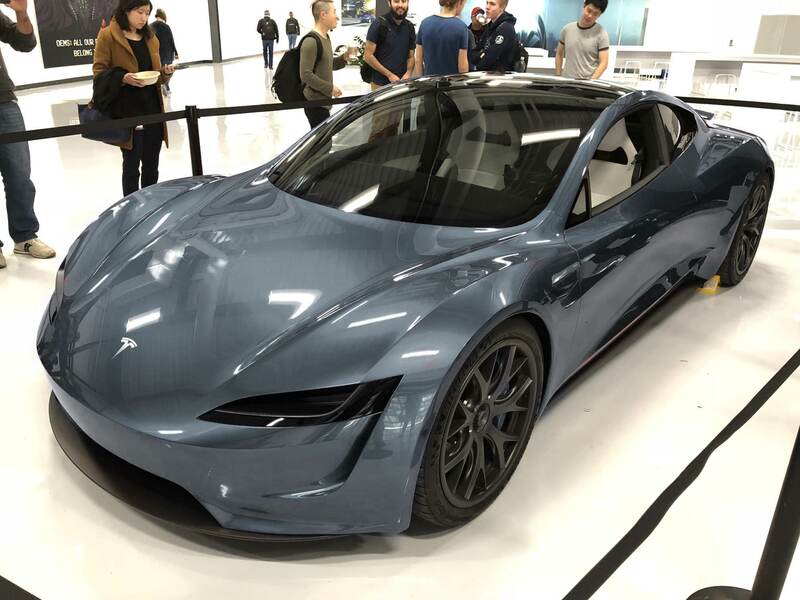 When Tesla unveiled its highly anticipated Tesla Semi this past November, Elon Musk surprised everyone when he also introduced a next-gen version of the company’s iconic Roadster. And with the type of showmanship we’ve come to expect from Musk, Tesla introduced the Roadster by having it drive out of the back of a Tesla Semi. Without exaggeration, Tesla’s Roadster is an absolute screamer. With a 0-60 MPH time of just 1.9 seconds flat, Tesla’s next-gen Roadster is faster than the Bugatti Veyron and nearly any other super car you can think of. Indeed, Musk at the event boasted that “it will be the fastest production car ever made.” And for good measure, the Roadster will sport a top speed of 250 MPH and a range of 620 miles on a single charge. 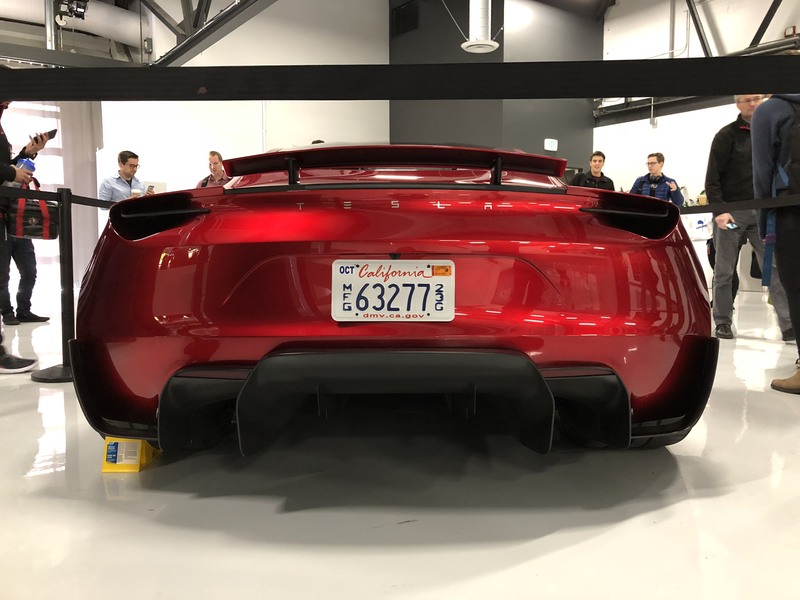 Just this week, Tesla put a Roadster prototype in its headquarters in Palo Alto, California. And as you might expect, the prototype featured the same shade of sleek red we saw when the car was first introduced a few months back. The photos below were first posted to Reddit courtesy of Casey_S. 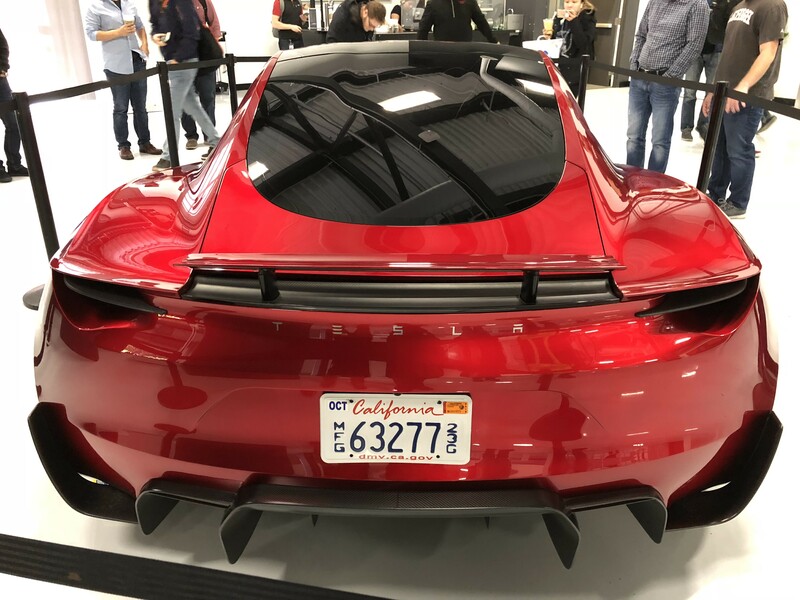 Casey’s photos provide us with an interesting and close-up look on the next-gen Roadster. To wit, check out the futuristic steering wheel below. And a few shots of the rear exterior for good measure. Before long, an enterprising Redditor and Tesla enthusiast put one of Casey’s Roadster photos through Photoshop in order to see what Tesla’s next-gen Roadster might look like in an assortment of different colors. The full list can be viewed in the following album on Imgur, but a few of the best renderings can be seen below. The one below essentially looks like a makeshift Batmobile. 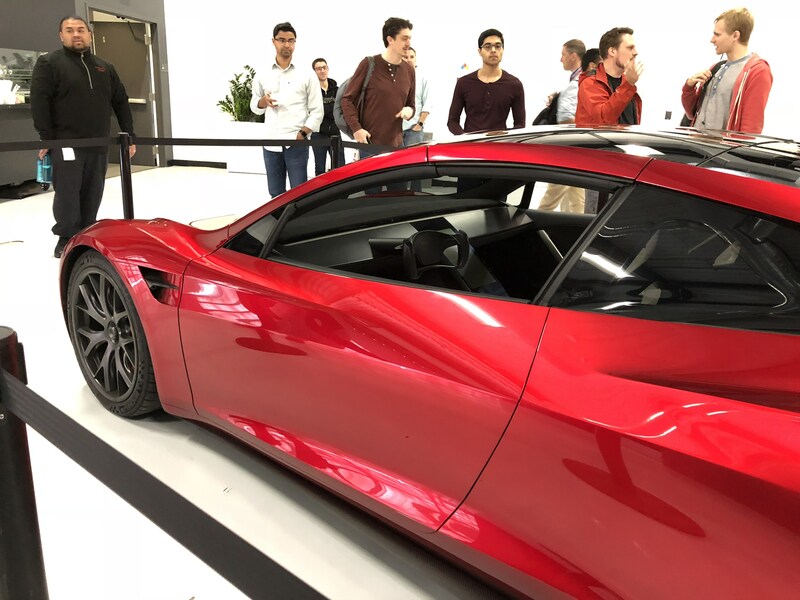 Tesla is planning to release its next-gen Roadster in 2020 with a base price of $200,000.